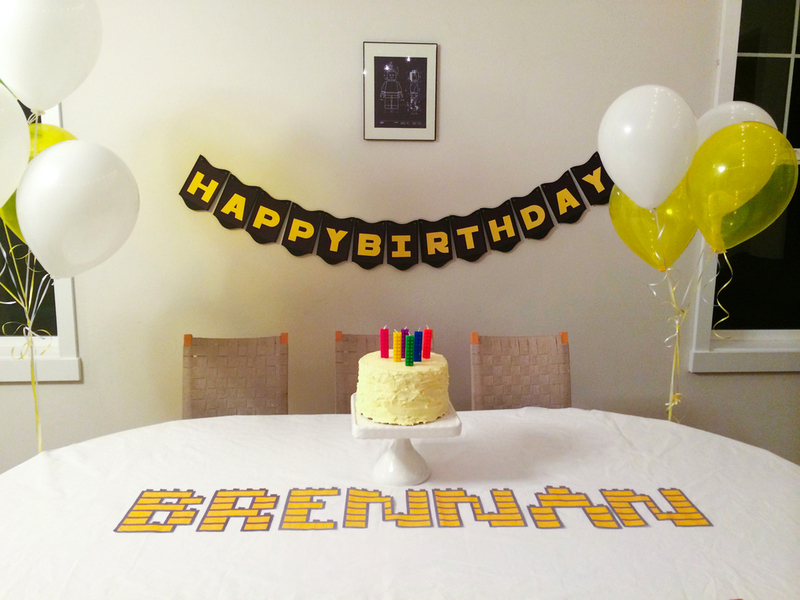 My son turned seven this month, and the theme was a lego party. I enjoyed so much throwing this party for him. The best part? The party was pretty mellow and fun. We invited six boys from his class. Now you are thinking…. Mellow party with a total of seven boys running around? Indoors? Yes! Let me tell you how I put this together. First, I send an Evite three weeks before the party. I keep the guest list under ten kids. My kids are older so parents can drop off their child or are welcome to hang out during the party. Second, I make a special bin for all the party decor and items I buy for the party. Then I look online for free printables and fonts. 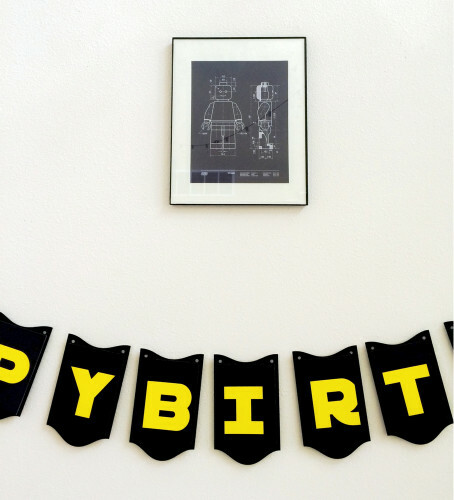 I also make a Pinterest board of the party theme and pin ideas a few months before the event. Finally, a week before the party I ask my child what kind of food he would like to have on his special day. Please take a look below at the party decor, food list, games and party favors. 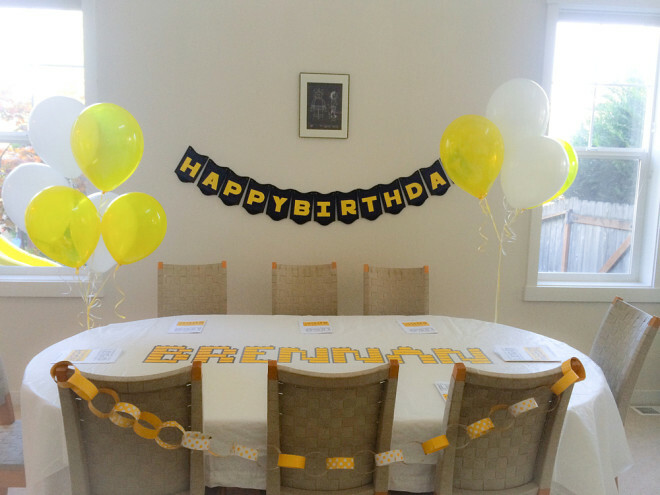 The party decor included balloons, two garlands, custom printable of my son’s name and custom coloring books. I don’t go overboard with the decor and use my main table for crafts and projects the kids will be excited to do. I have no words to describe how excited I was when I found this illustration! Isn’t it brilliant? I found this beautiful artwork on “Behance.” Behance is a creative community of designers, illustrators and many talented people. 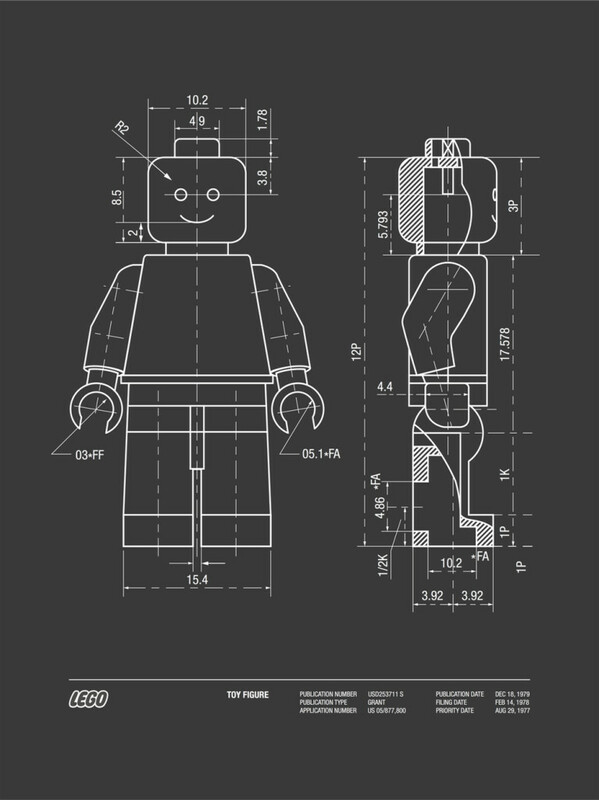 A designer in France created this work and shared it on Behance for people to share and use. This work is copyrighted, so it is only for personal use. My son loved this picture, and now we have it hung up in his bedroom. I mentioned before; I asked my child what kind of food he would like. My son requested, pears, oranges, pirate booty, pizza and cake. Pretty doable right? I put the food in the kitchen separate from my main table. I used plastic cups to serve sensible portions of pirate booty and another cup of fruit. 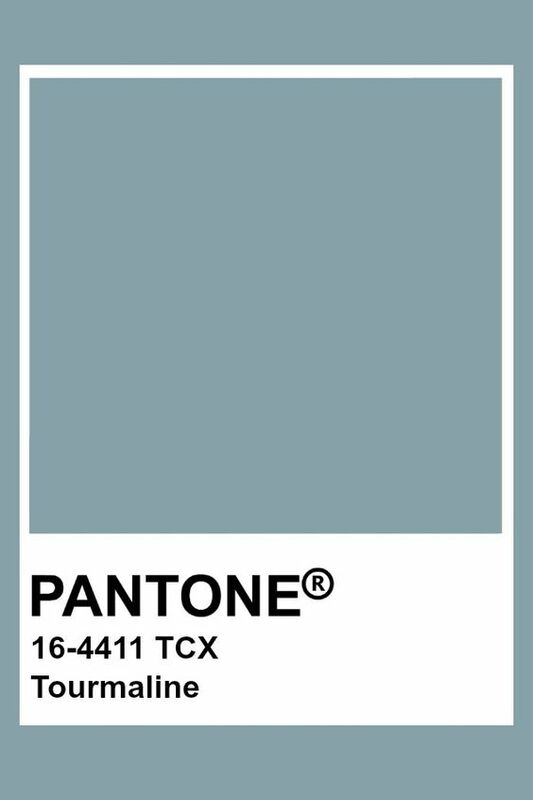 Between Pinterest, Behance and free fonts websites, the possibilities are endless. But again, my motto is to simplify, so I’m glad to share these designs with you. For the “how many Legos” game, fill up a container with a bunch of Legos and let the kids guess how many pieces there are. 6:00 Goodbye, gather all the kids’ gifts: coloring book, name sheLegoset. Thank you for visiting! If you have any question, please leave me a comment. Hello! My son turned seven and he is growing fast. I’m trying to cherish the “little boy” years as much as I can. He is turning into a little man way too fast… Thank you for visiting! XO. I just found this post and I’m happy my work fit your needs ;).